Wear and oxidation resistant grade for stable and high feed rate milling and drilling of steel. 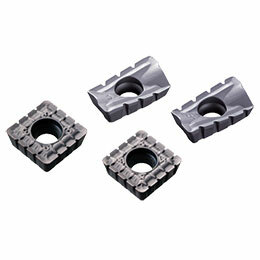 Kyocera's PVD coated carbides for milling utilize very tough carbide substrates. The low processing temperature, compared with CVD, leads to improved bending strength, less deterioration of the coating and superior tool life with stable machining.